How will Mazda's Zoom-Zoom spirit achieve form and substance in the future? 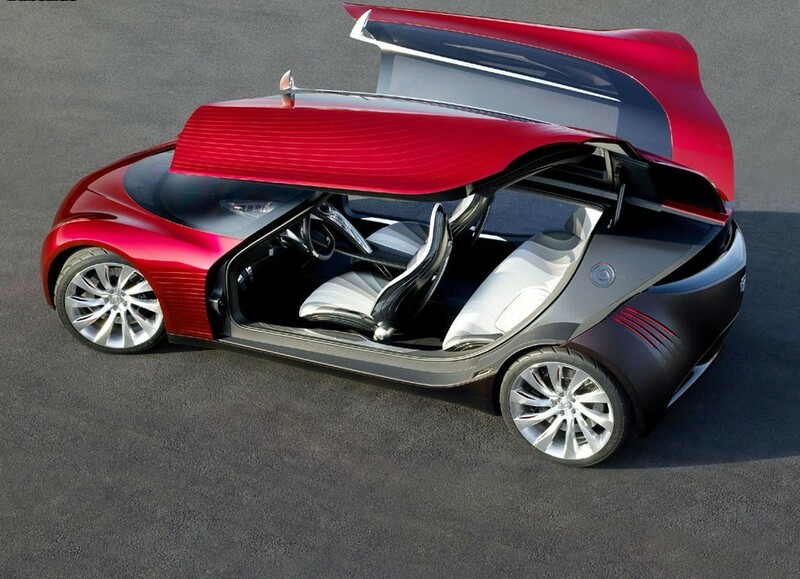 Laurens van den Acker, Design Division General Manager for Hiroshima, Japan's Mazda Motor Corporation, disturbed the status-quo and challenged every designer in his three global studios with that very question upon his arrival at Mazda early last year. 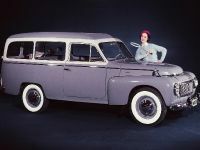 After months of soul searching, hundreds of sketches and thousands of discussions, meetings, arguments and revisions, the first part of the answer was unveiled at the recent Los Angeles Auto Show. 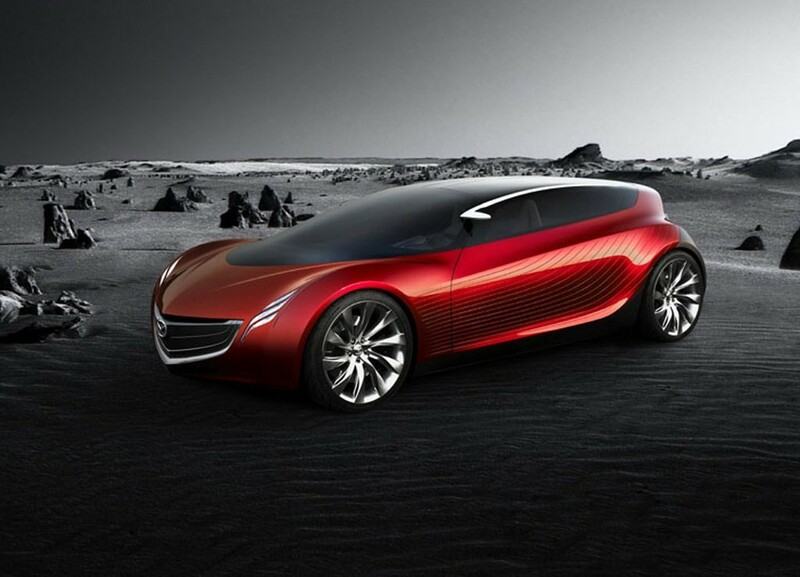 Mazda's provocative Nagare (pronounced "nah-gah-reh") – Japanese for "flow" – concept introduced a new surface language that evokes the emotion of motion in a stationary automobile. Nagare is one of a hundred or more Japanese words that describe the embodiment of motion – such as how wind shapes desert sand, the way currents stir the ocean's floor or the way waves lap at the shores of a lake. van den Acker explains, "Nagare is purposely emotional and expressive. Anyone who sees it is drawn for a closer look; they're moved to caress surfaces inspired by nature, to understand how they could work on an automobile. "But we wanted to take the idea further," van den Acker continued. "The Ryuga concept we're presenting in Detroit is our next step in the evolution of Nagare. It's an exploratory design study that's more realistic than Nagare and therefore more useful in gauging reactions from those who see it. "To put this in fashion terms, if Nagare is haute couture (a custom designed and tailored garment), Ryuga is prêt-a-porter (ready-to-wear, not one of a kind)." "Ryuga celebrates refined and controlled motion," van den Acker continued. "Nagare is a dream or an emotion that's just beginning to take shape; Ryuga extends that idea by adding definition. 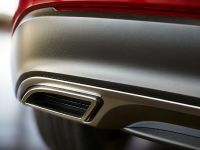 "To draw this new surface language closer in time to a car Mazda will produce for sale, we've added interior and powertrain details that were purposely absent from Nagare. 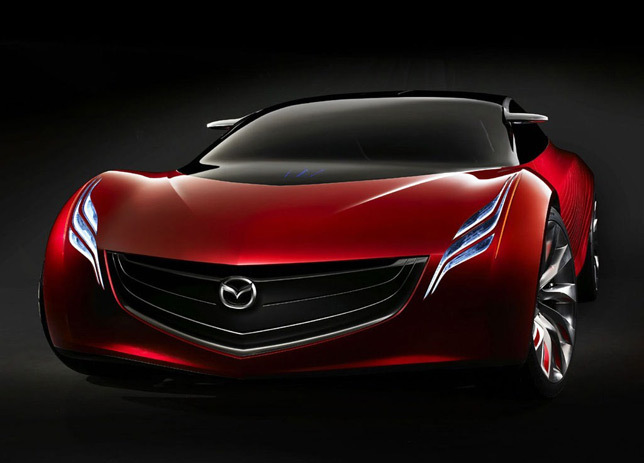 "Mazda is a brand that thrives on distinctive design. We are standing up to be recognized for boldness and originality. We have the courage to forge leadership in selected areas such as dynamic performance and striking design. Combined, these attributes give each of our products the soul of a sports car. 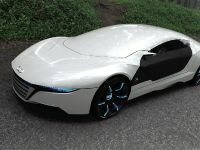 The flow expressions that Nagare and Ryuga embody will be seen both in the near term on other concept cars and in the long term on production models. "We're working on the face of Mazda to make it more distinguished and instantly recognizable. 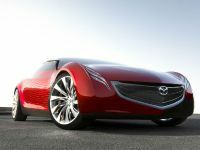 We can adjust this new surface language to suit various models within the Mazda family. The recent success of our product line has given us the confidence to seize this look as our own. Large wheels placed at the far corners of Ryuga's exterior lend a highly stable, balanced stance. The aggressive wedge shape imparts motion even when this sports coupe is parked. Volumes that are small in front, larger at the rear, wrap around and over the wheels to give the exterior tension and direction. "After we began studying natural phenomenon for inspiration, Mazda designers were initially hesitant to apply their findings, but I encouraged them to blend artistic and sculptural beauty to see where it led. Once we did, the results were both original and instantly appealing. While this initiative began with textures inspired by nature, it goes much deeper than that. We're looking at grand gestures that wrap all over the vehicle's exterior and throughout the interior. Some of the proportions are dramatically wind-swept. There's drama at every turn. There are no square corners." Yasushi Nakamuta, chief designer for this project, previously headed the design of Mazda's immediately successful third-generation 2006 MX-5 Miata. Nakamuta says, "Ryuga incorporates elegant and refined design treatments which express Japanese concepts of mysterious beauty and intelligence, based on the new design theme that began with the Nagare concept car unveiled at the LA Auto Show." Reflecting its Japanese origin, Ryuga is both simple and complex. 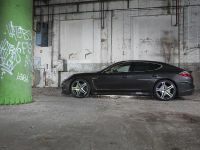 While the dominant flow theme is simple, the details – such as the side surfaces and the wheels – are intricate. Solidity and fluidity live here together, in harmony. Thanks to Mazda's innovative packaging expertise, Ryuga is significantly shorter and lower than today's four-passenger RX-8 sports car, yet it too accommodates four passengers in roomy comfort. A relatively long (110.2-inch) wheelbase and two large gull-wing doors provide a wide-open invitation to the interior. As the doors rise to expose the interior of Ryuga and allow easy slide-in access, the passengers are presented with the fusion of a cockpit - designed to maximize the emotional connection between the car and driver - with the social atmosphere of the rear passenger space, where lounge-like comfort is ensured through expansive space and Nagare-inspired design. 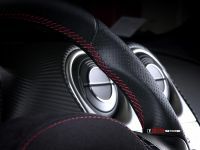 The front bucket seats provide ample lateral support for energetic driving with the shape of the seats creating an impression of movement which is further emphasized by the patterns in the material. 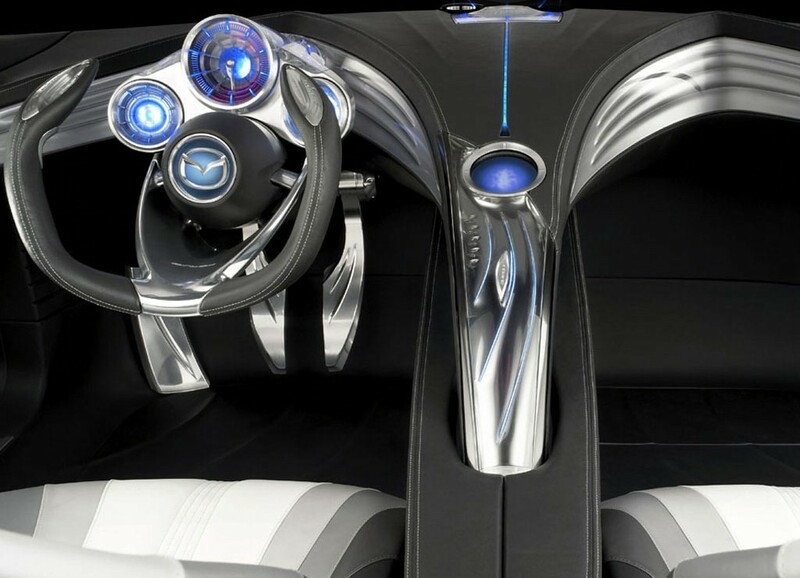 The experimental 'floating' center cluster allows a high level of interface between the driver and the multi-function touch panel without having to take one's eyes off the road ahead. 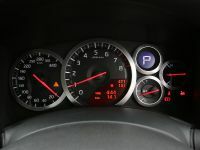 Information necessary for safe and dynamic driving is available to the driver with RPM and speed (which is shown in both analog and digital formats) being displayed on the same axis. 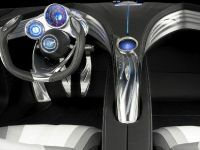 Flowing upwards, the center cluster dynamically penetrates the front information panel which reflects Zoom-Zoom futuristic and sporty design craftsmanship, as well as an integrated interface between man and machine. Elongated pods give the cockpit depth while bringing information closer to the driver's eyes. An open-top steering wheel provides enhanced sight lines to the instruments and the road ahead. 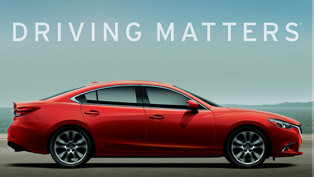 Flow textures are emphasized in the door trim with lines that begin at the center of Ryuga's Mazda-trademark five-pointed grille and sweep rearward through interior surfaces. The artistic combination of leather, polished aluminum and translucent plastic give the interior a warm glow reminiscent of illumination themes already in use in current Mazda products. Mazda is working on various technologies to deliver Zoom-Zoom driving in the future, including earth-friendly environmental technologies and people-friendly safety technologies. 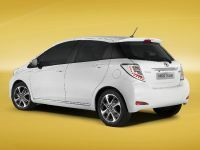 As part of the initiatives, an E85/Gasoline FLEX FUEL engine which runs on sustainable bio fuel could be used in Ryuga. 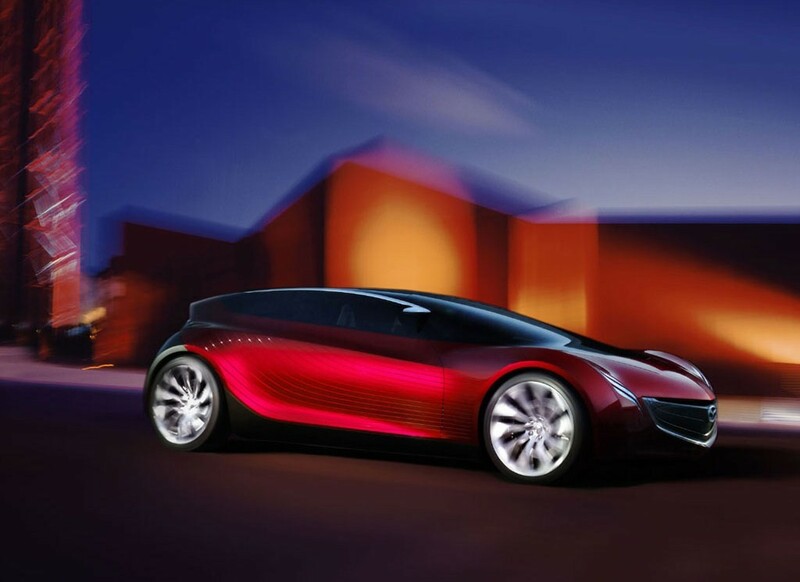 This engine delivers torque and power, balancing driving and environmental performance. 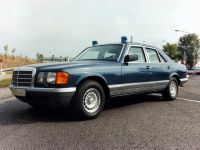 Other important features that will support safe driving are the Charge-Coupled Device (CCD) cameras installed for the rear monitoring system and the blind-spot monitoring system. These help ensure safe driving while changing lanes and allow easy identification of potential obstacles. In order to ensure the car provides a Zoom-Zoom driving experience, which is the basis behind all the other features, an open top steering wheel is employed with highly sensitive settings to respond to the driver's smallest input. The car also features steer-by-wire technology and gauges that deliver superbly clear information to the driver. The dramatic wheels with TOYO PROXES 245/35R-21 tires complete the driving experience, and the sophisticated original tread pattern perfectly suits the Ryuga's design concept. 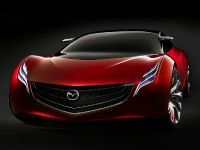 "The real significance of both Nagare and Ryuga," notes van den Acker, "is that it's the first time Mazda has ventured forth in search of a design motif that is undeniably new. Both concepts are exploratory studies and neither is planned for production. While Mazdas of the past and present have embraced flow in various ways, it's our intention to greatly intensify that character in the future."